It is naive to think the Taliban have changed their stance on women’s rights, says Kabul restaurateur Laila Haidari, who like many educated Afghan women fears any peace deal between the extremists and the U.S. could erode hard-won freedoms. Draconian rules that once forced half the population behind closed doors – barred from education and work – have been chipped away in the nearly two decades since the U.S.-led invasion that largely swept the Taliban from power. “If they return, women will have to leave the public space,” Haidari tells AFP from the restaurant she runs in Kabul, one of the few places in the capital where men and women dine together. “We never want to go back. We never want to lose our freedom,” says Mina Rezaee, the owner of another cafe in Kabul, where music – banned under the Taliban – plays in the background. After six days of negotiations in Qatar, the U.S. and the Taliban have agreed to a draft framework for a deal which could pave the way for the insurgents to hold peace talks with Kabul. With the U.S. desperate to withdraw from Afghanistan and the Taliban in control of vast parts of the country, it is unclear what a post-conflict government would look like. Before being toppled by the U.S. invasion of 2001, the Taliban governed Afghanistan for nearly five years with a strict interpretation of Shariah law. “We still remember how hard it was to be a woman under Taliban rule,” says Naweeda Bayat, a 25-year-old from central Jaghori district. The government in Kabul controls less than two-thirds of the country, according to a U.S. estimate – and in Taliban-controlled areas, nothing has changed. The Taliban vowed Friday to pursue “the establishment of an Islamic system” in the country as talks continue, saying the group did not oppose education for women, according to the insurgency’s spokesman Zabihullah Mujahid. However, Mujahid remained vague on what an Islamic system would mean for the rights of Afghan women. More than 2.5 million of the eight million schoolchildren are girls, according to the U.N. More than a quarter of the seats in parliament are reserved for women and in 2016 they made up nearly a fifth of the workforce. But despite the progress – and millions spent by Western aid programmes since 2001 – Afghanistan ranks last in the Georgetown Institute for Women, Peace, and Security index which measures well-being and self-reliance. Hasina, a 32-year-old mother of one in the disputed southern province of Helmand, says she dreads going backward. Several feminist activists told AFP they believe the country has changed and Afghan women will not allow their rights to be taken away without a fight. 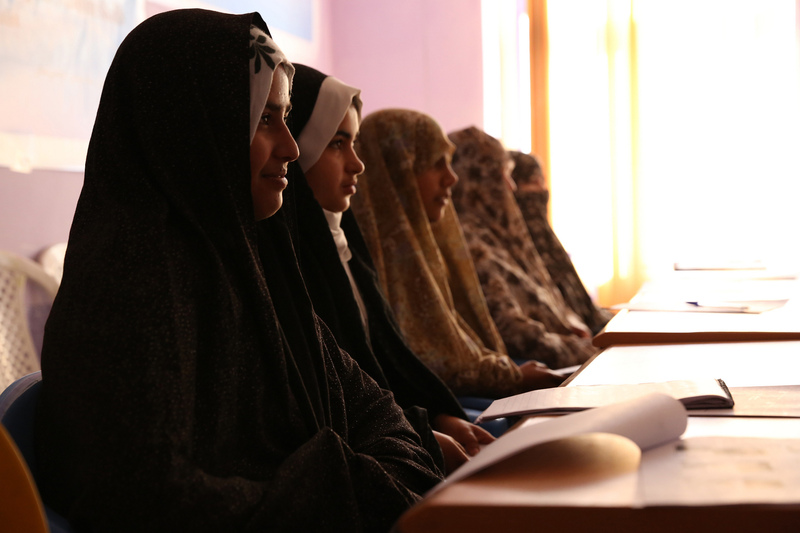 “Afghan women are stronger, more informed, more educated than ever, and no one, including men, will agree to return to what Afghanistan was in 1998,” says Fawzia Koofi, who heads the Parliamentary Committee on Women and Human Rights. Activist Attia Mehraban feels the same. “I dream of peace, like millions of other Afghans, but I dream more vividly of my freedom and rights as a 21st Century human being,” she told AFP. Hosai Andar, a businesswoman in her 40s, said she could “not imagine the world would abandon us once again”. It was therefore not a midnight party that led people to pour into streets of Kabul two Sundays ago. For the citizens, who live their days and nights under the shadow of death and terror, gathering in a large crowd would be the last thing to do. US-Taliban Peace Talks: Deal Without Afghans?